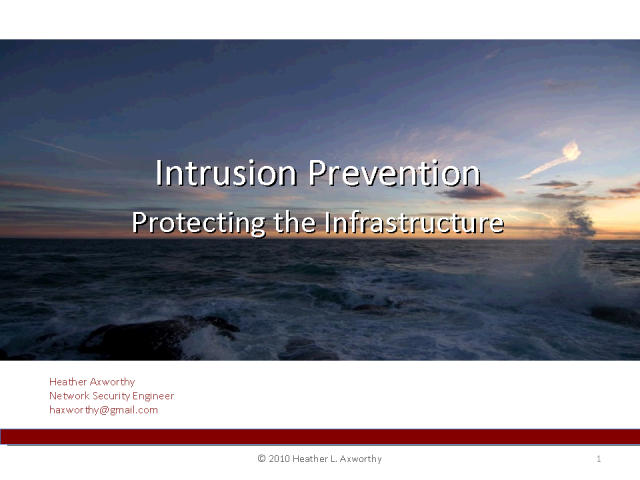 Introduce Intrusion Prevention, how it works, and best practices for deployment. There is a right way and a wrong way to implement IPS. I want to tell you how to do it the right way so you can be successful in your alerting and incident response!